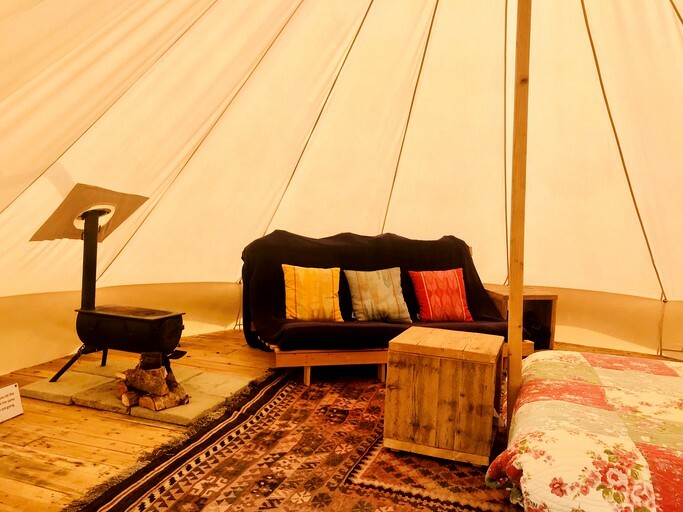 Located in the West Midlands of England, these spacious bell tent rentals near Gloucester are perfect for a glamping getaway. 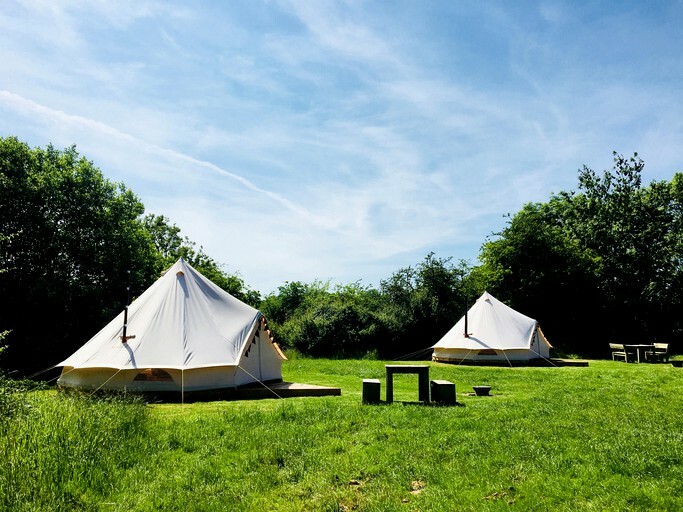 This property offers two large bell tents for hire. 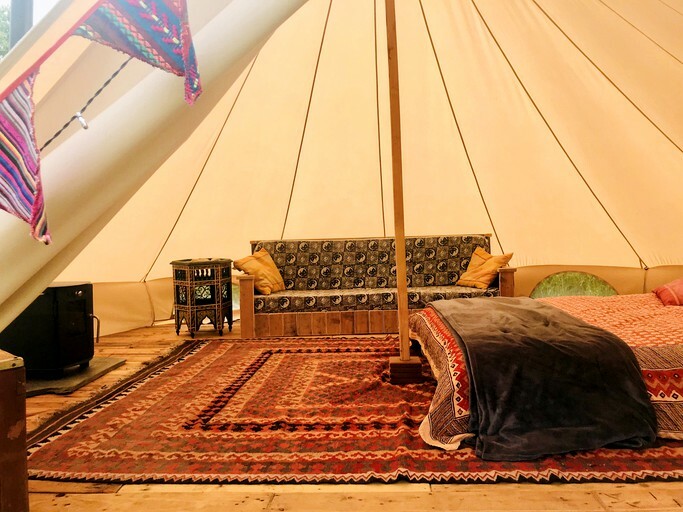 Both have beautiful wooden floors and come simply furnished with rugs, cushions, a small table, a wind-up torch and lantern, bunting and solar fairy lights. They are suitable for two people with a double futon. This property offers shared bathroom and kitchen facilities. Guests will be provided with all the necessary amenities including, an outdoor kitchen, hot showers, as well as flush and compost toilets. There are also picnic tables and areas for outdoor fires. 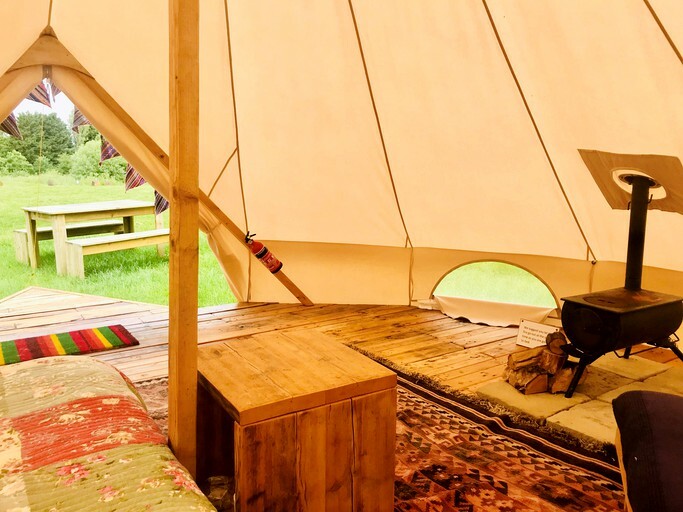 The camping kitchen is equipped with an electric cooker, sink and a fridge, table, three chairs, a wicker sofa, enough cutlery and plates for twelve people. There are also basic pots and pans. Outside, on the patio, guests will find a picnic table. This property provides duvets and pillows but asks guests to either bring a duvet cover or a top sheet, as well as a bottom sheet, pillow cases, and towels. There are several spots where guests can light a fire, these must be in the fire baskets provided or guests own fire basket to ensure there are no fires on the ground. 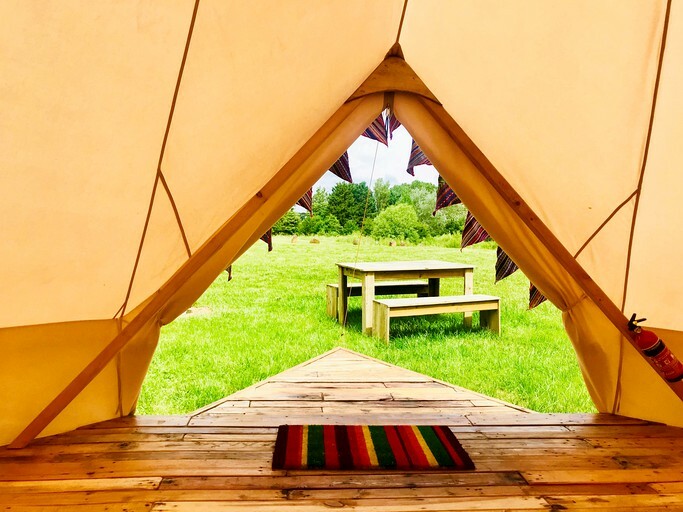 Glampers can bring their own firewood or buy it on site. 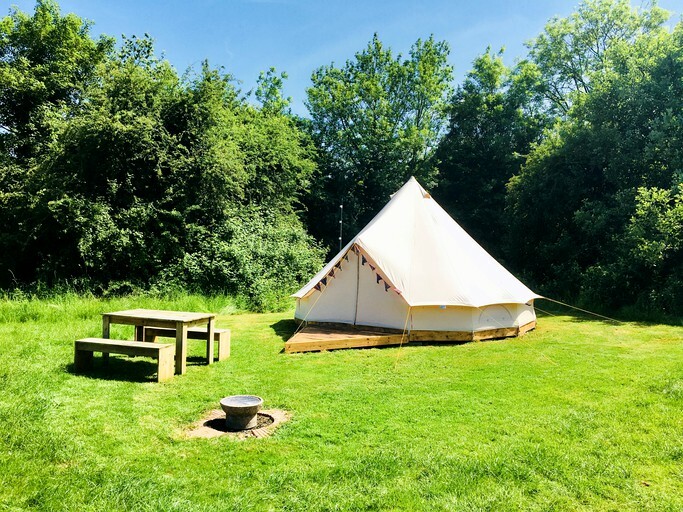 This campsite is situated in the beautiful North Cotswold village of Whichford, near the Warwickshire, Oxfordshire, Gloucestershire and Worcestershire borders. Set in the heart of England, in the middle of everywhere and 1.25 hours from the M25. 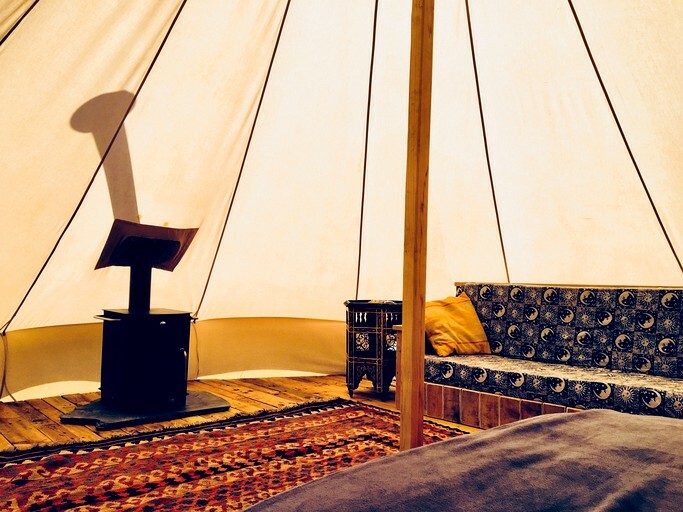 Guests can come and share this special place, experience the peace of the historic land and the sounds of nature, where they can enjoy stargazing the dark night sky, watching the meteor showers without light pollution from the ancient stone circle. 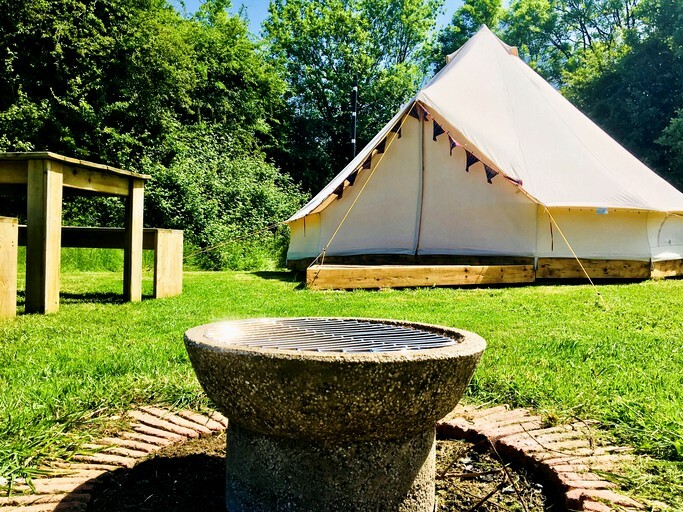 The campsite is designed for those looking for a peaceful, rustic, outdoor experience, surrounded by nature and history. There are many activities available to glampers. 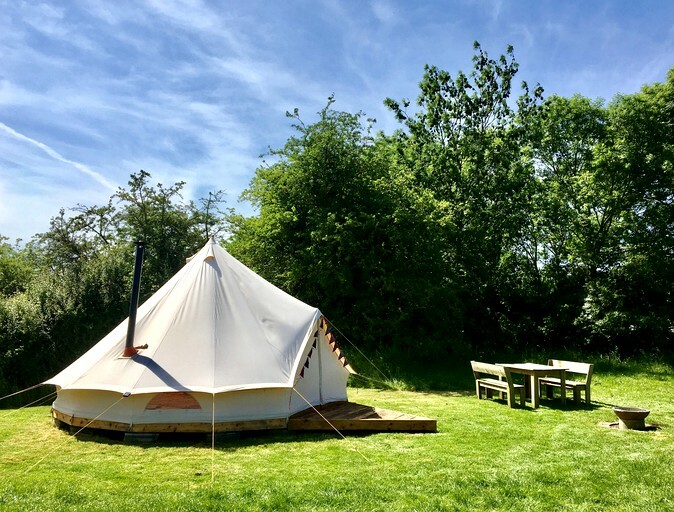 Venture to Whichford Wood through the lane that runs parallel to the moat on site and ends up in the field where guests can see a track that leads to the wood – there they will find many paths. Guests will definitely need their boots for this trek. In early May there is a sea of bluebells, in autumn there are chestnuts and hazelnuts and quite often, muntjak and deer. Heading to the village of Whichford, guests can check out the award winning village pub, The Norman Knight, which serves good meals and has a lovely view over the village green. They also have excellent live music nights. Whichford Pottery is also a wonderful place to visit, where there is a stunning garden full of inspiring pots, the Octagon gift shop, and the marvelous Straw Cafe. The food is seasonal, locally sourced, handmade, homemade, and even home grown when possible. They have gardening master classes and adult pottery workshops. There is no shop in the village, but there are some very good shops nearby. The village shop in Long Compton has basic foodstuffs and sells papers. The Wyatts Farm Shop near Great Rollright has a good selection of meat, vegetables, gifts and plants, wine and a cafe. The Village Shop, Hook Norton, is open until 8:00 pm and the Taste of the Country and Shipston-on-Stour, sell delicious handmade foods. Additional activities include swimming at the Shipston-on-Stour Leisure Centre, the Chipping Norton Leisure Centre, and the Sibford School Swimming Pool. Guests can hire bicycles at Tycylcesor at Bourton-on-the-water, Bibury, Moreton-in-the-Marsh, Chipping Norton and Chipping Campden. Guests can go canoeing or kayaking at the Cotswold Water Park. Nearby are some lovely historic Cotswold villages and towns – such as Shipston-on-Stour, Chipping Norton, Moreton-in the -Marsh, Stow-on-the-Wold, Chipping Campden, the Slaughters, the Tews, the Swells, Bourton-on-the-Water, Burford, and Broadway. About 13 miles away are Hidcote Manor Gardens and Kiftsgate, and many beautiful places to visit such as Batsford Arboretum and Sezincote. Further afield, guests will have Stratford-upon-Avon is 15 miles, Banbury 12 miles, and Oxford 25 miles. There is a designated place to put rubbish and recycling, so guests are able to leave the site as they found it. 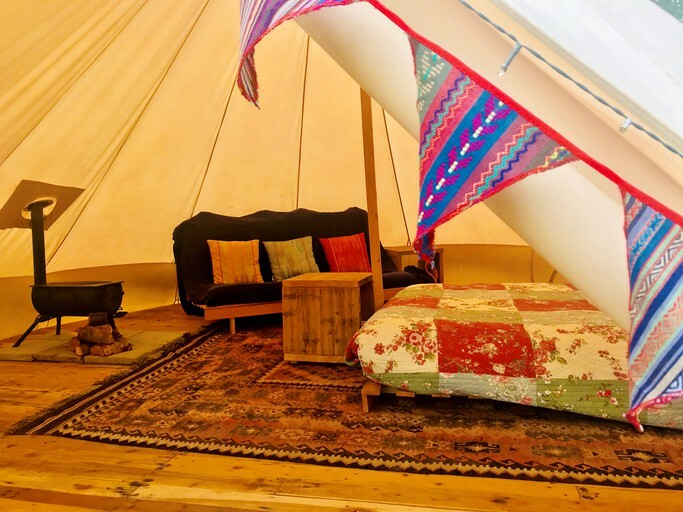 This property offers different accommodation styles including bell tents, a yurt, a gypsy caravan, and a 1960's Airstream. Please inquire with the host for further information regarding these accommodations. This property provides bed linens.